FloPro's 4" Aluminized Cat & DPF Delete Pipe kit for 2015.5-2016 GMC/Chevy Duramax 6.6L LML trucks. Will only fit models equipped with OEM-style 3-bolt flange off of the turbo direct pipe! FloPro's 4" T-409 Stainless Steel Cat & DPF Delete Pipe kit for 2015.5-2016 GMC/Chevy Duramax 6.6L LML trucks. 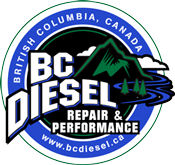 Will only fit models equipped with OEM-style 3-bolt flange off of the turbo direct pipe! 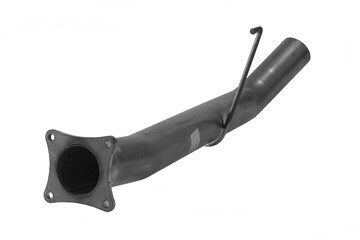 The 4" Selective Catalyst Reduction Unit pipe will eliminate the OEM SCR on 2011-2012 Dodge 6.7L Cummins 4500/5500 CAB & CHASSIS vehicles. 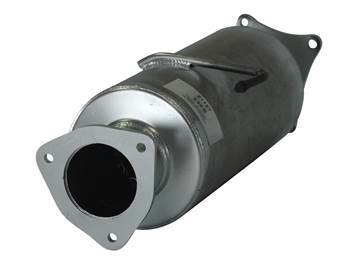 It will bolt on to the factory DPF Cat or a corresponding DPF delete pipe. Race tuning required. 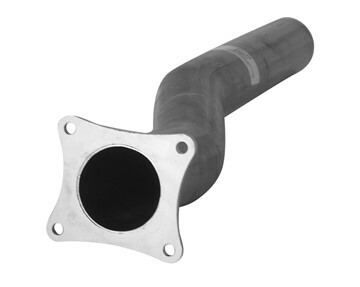 FloPro's 4" Selective Catalyst Reduction Unit pipe will eliminate the OEM SCR on 2011 - 2012 Dodge 6.7L Cummins 4500/5500 CAB & CHASSIS vehicles for cab->axle lengths of up to 70" and bolts on to the factory DPF Cat or a corresponding DPF delete pipe. Race tuning required. 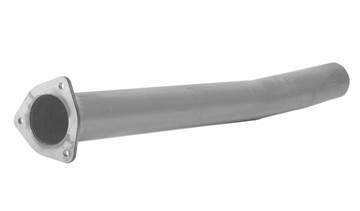 FloPro's 4" Aluminized Cat Delete pipe kit eliminates the catalytic converter on your 2011-2015 GMC/Chevy Duramax LML diesel truck. 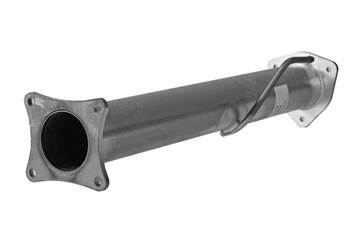 FloPro's 4" Aluminized Cat Delete pipe kit eliminates the catalytic converter on your 2007.5-2010 GMC/Chevy Duramax 6.6L LMM diesel truck.